The Whalen Company manufactures specialized HVAC and humidity control systems for commercial and residential structures. The firm pioneered vertical systems as an attractive, effective and space-saving alternative to console HVAC designs, making them well-suited for hotels, high-rise apartments, condos, retirement communities and healthcare facilities. 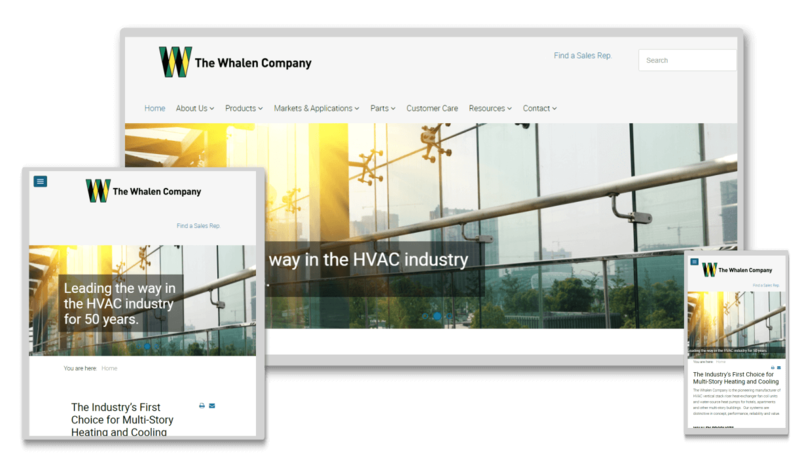 When The Whalen Company tasked us with creating a new website for their brand, they were looking for a website platform that would put the control back in their hands. Their previous website made it extremely difficult to update content and, therefore, the content on the web pages was stale and out of date. 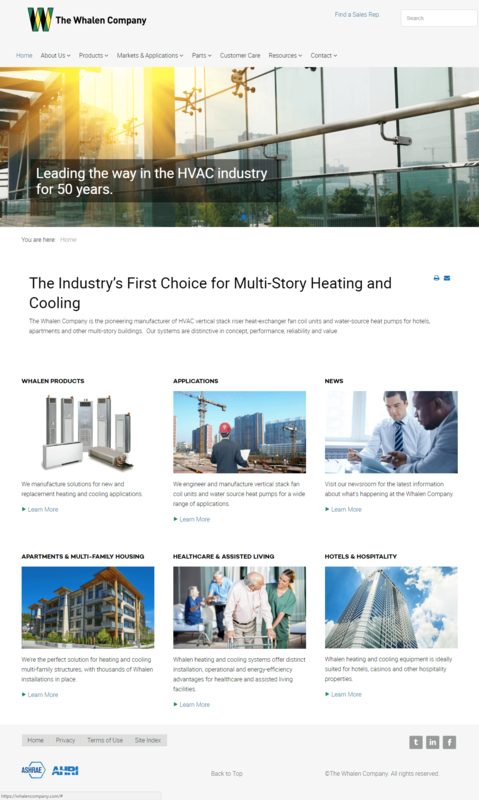 Utilizing newly-designed company branding, we delivered to The Whalen Company a website experience that would intrigue and impress potential customers. We built the website components on a user-friendly platform, and trained and supported the company’s staff to begin updating content on Day One.